Following the success of everyones retro-favourite 8-bit Apple II, Apple went on and released the impressive 16-bit Apple IIGS. This fantastic little machine sported a full GUI, ample RAM, rich audio-visual capabilities, Apple II compatibility, true multitasking, quite a few expansion options and a sleek design. Shockingly it didn't fare too well versus the behemoths that were the Amiga and Atari ST. Must have been the price methinks. Anyway. You can find out (much) more about the thing over at Wikipedia and Oldcomputers.net. 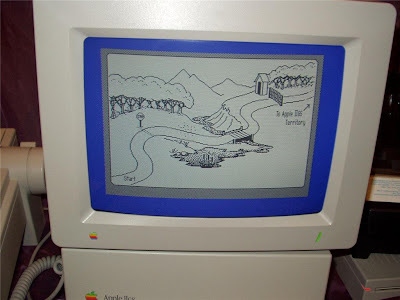 Oh, and do yourselves a favour and try a few classic Apple 2 and 2gs games for free and in the comfort of your browser here. For a more material approach try this Apple IIGS Computer System & extras eBay auction instead. 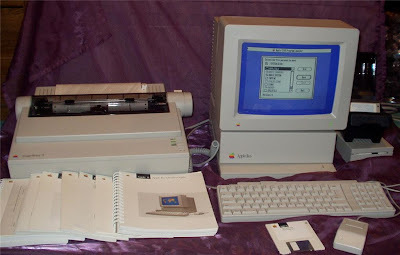 The seller is willing to ship worldwide, the price seems more than decent and you'll be getting a mint condition Apple IIgs with mouse, monitor, printer, manuals, software, keyboard and, well, extras. Why not treat your beloved Speccy to some nice new bits by bidding on this Sinclair-centred Interfaces, Light-pen, Printers eBay auction? Why not indeed? After all, seller ships worldwide and you'll be getting 2 Kempston interfaces, 3 light-guns, 1 printer, 4 more joystick interfaces, a complete dk'tronics light-pen with software and a lot of lovely cables. By the way, you might also find this hardware focused link interesting too. King's Quest III: To Heir is Human, or simply King's Quest 3, was a brilliant parser driven graphic adventure released by Sierra back in 1986. So, uhm, why not own a boxed copy of King's Quest III for the Apple IIe, IIc or GS? Seller ships worldwide. Find out more about the game here and grab the impressive (very freeware too) 2006 remake here. 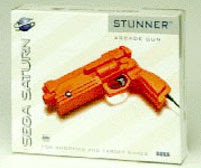 The classic light-gun for your beloved Saturn, the Sega Saturn Stunner, can be bought from BestSku.com for a a mere 10$. Here's the link. Oh, and thank g.d. for the tip. Actually, it's a Sega Saturn with a modem and two online playable games, but Netlink does sound so very exciting, doesn't it? Besides, said modem is definitely rare... Anyway, do try eBay for the complete Saturn Netlink experience in auction format. Seller ships worldwide and you'll be geting yourselves a boxed console, a boxed keyboard, 2 controllers, 2 netlink games, all necessary manuals and cables and some other stuff too. Nice. Better start by grabbing the glorious Amstrad Action Tribute magazine. Lovely, innit? 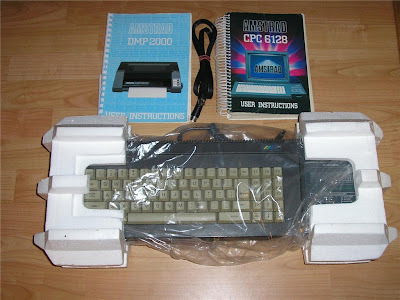 Now, for a brilliantly preserved set of home-computing & gaming pieces, do try this Amstrad CPC 6128, monitor, printer, manuals and software eBay auction. 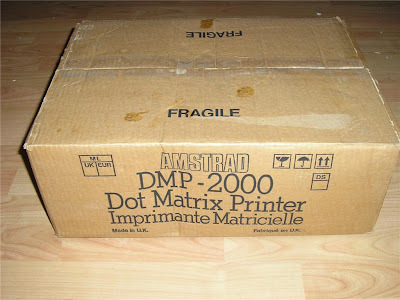 Seller ships only within the UK and the average 6128 (sans printer) usually sells for 20-30£. Bundled 3" disk-based software includes quite a few games, some Amsoft offerings and the Advanced Art Studio. Based on the Fairchild F8 processor that was invented by Robert Noyce of Intel fame, the Fairchild Channel F was released back in 1976 and was the first commercially released console to use programmable cartridges and support rudimentary colour graphics. Find out more about it over at Wikipedia and the GamingMuseum. To grab a slightly pricey -yet boxed & fully working- version of this rather rare console with three games, do try this Fairchild Channel F eBay auction. Seller ships worldwide. A NES with games. Nice. The standard -lovable, really- Nintendo NES with 2 controllers, the light-gun and four pretty decent cartridges can be grabbed via eBay. Hoorah, I guess. You shouldn't pay more than 30-40$, mind. Oh, and as the seller ships worldwide, you might have to convert that to your currency of choice. An overlooked gem released during the last days of the MegaDrive, Comix Zone is a visually stunning, stylish, comic-book like, original and extremely fun beat-'em-up with a few arcade-adventure bits thrown in for variety purposes. Find out more about it here or here and grab a (boxed, mint) copy of Comix Zone on eBay. Seller ships worldwide. Apparently, it is also available for your Wii's Virtual Console. Ah, yes, the Virtual Boy. Nintendo's only true flop, but still a wildly innovative system (or was that just an interesting gimmick?) with quite a few great games and some almost proper fully 3D visuals to make your head ache. Happily, you can now grab two of them VBs -one in mint condition and a half-working one for spares I guess- complete with 18 cartridges via this extremely reasonably priced Virtual Boy eBay auction. Among the included games you'll find such true rarities as Water World, Nester Funky Bowling and Galactic Pinball and some lovely little games like 3D Tetris, Mario Tennis, Wario Land and Golf. Paying anything less than 200$, 100 pounds or 130 euros should turn this one into a huge bargain.